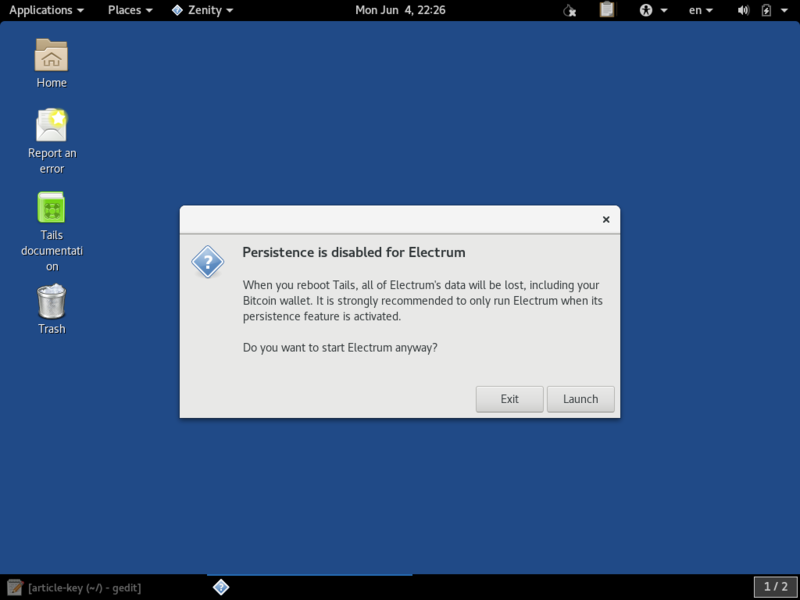 This article assumes that you have completed the previous guide on setting up a TAILS temporary live boot session. 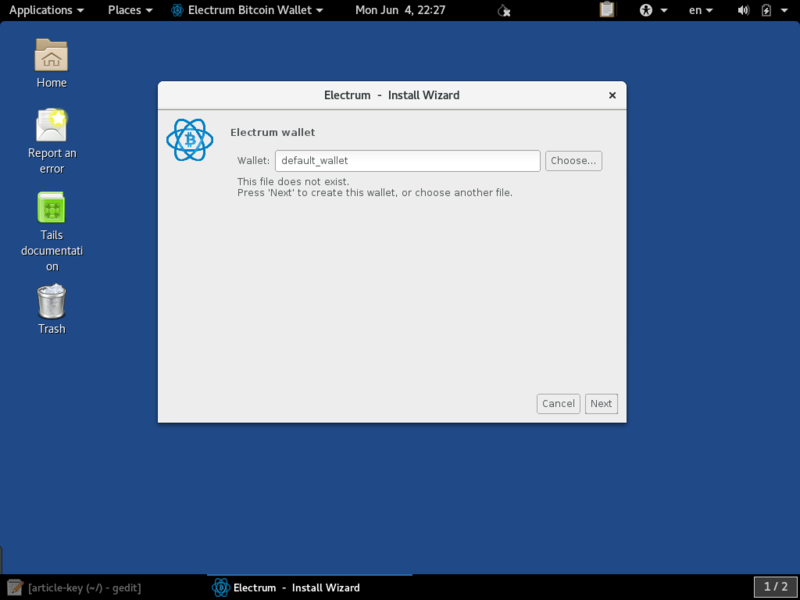 The task for this article is simply to give a quick tour of the Electrum software that is built into TAILS and provide some tips for using it. 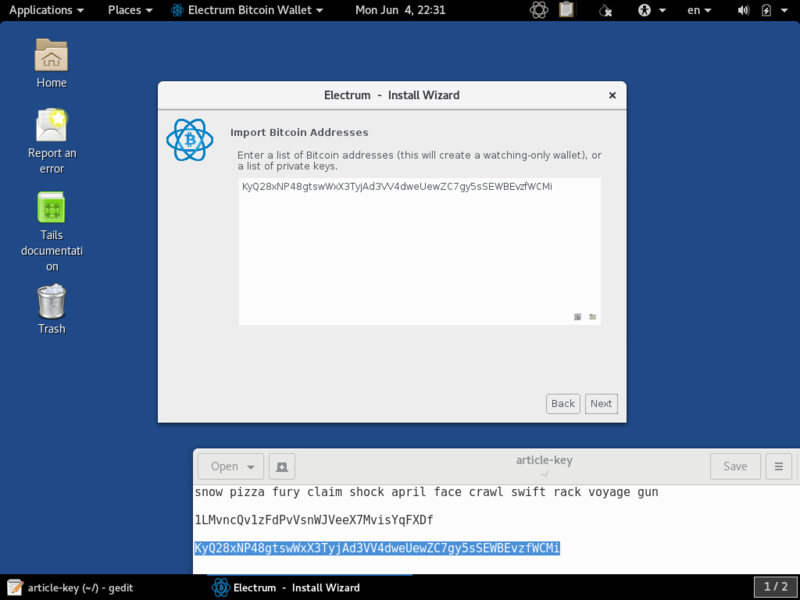 Since this is a live-boot system, we are not using Electrum to store private keys for us. Hence, we are assuming that the private keys for the temporary session that are stored securely else and brought in for temporary use within this secure environment. 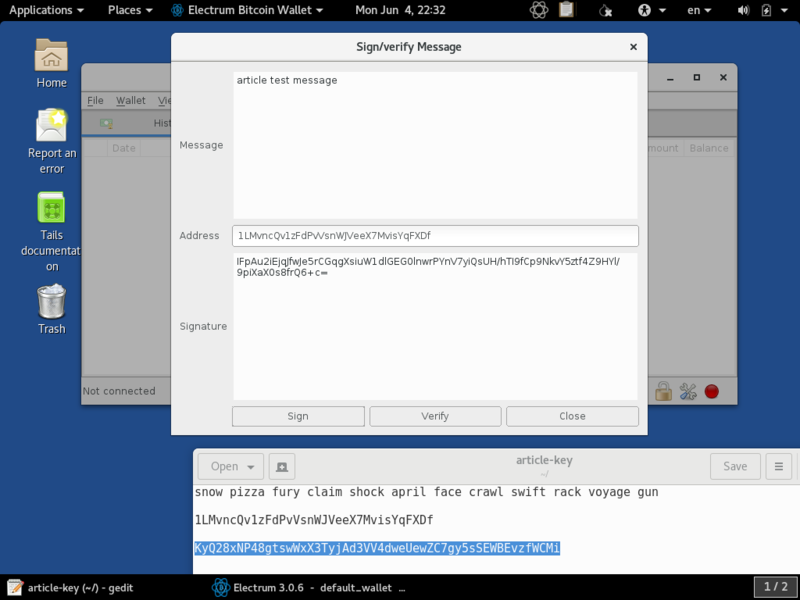 Electrum on TAILS can be used online, but for this demonstration, we are just going to show the example of doing an offline signing since that is often applicable for airdrop registration. 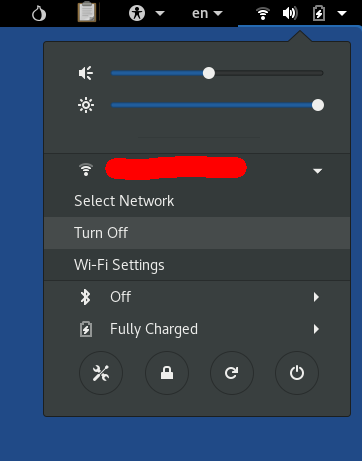 If you wish to transact, the TAILS session can be connected online via Tor. However, the mechanism for loading in your private keys is the same as in this example. 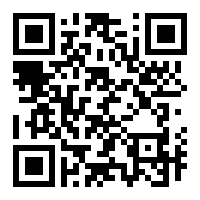 You can refer to the official Electrum user guide for help on using this software in other ways. 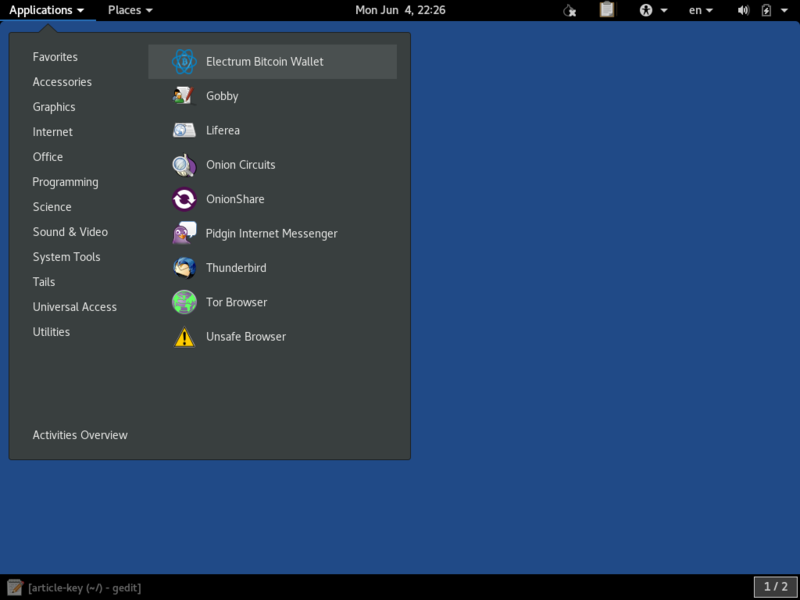 Your private keys were only held in RAM, so simply rebooting or shutting down should wipe anything. Unless of course you are explicitly keeping track of some information on an encrypted USB drive or SD card.